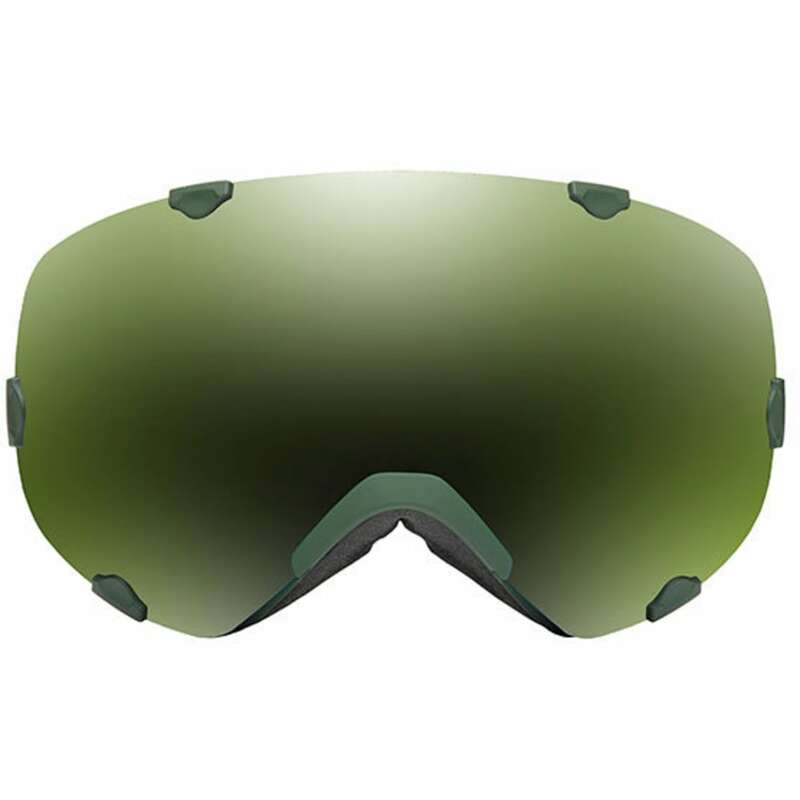 Sporting a rimless, wide field-of-view frame with a six-point interchange system, the Spindrift™ goggle has all your on-snow needs covered. 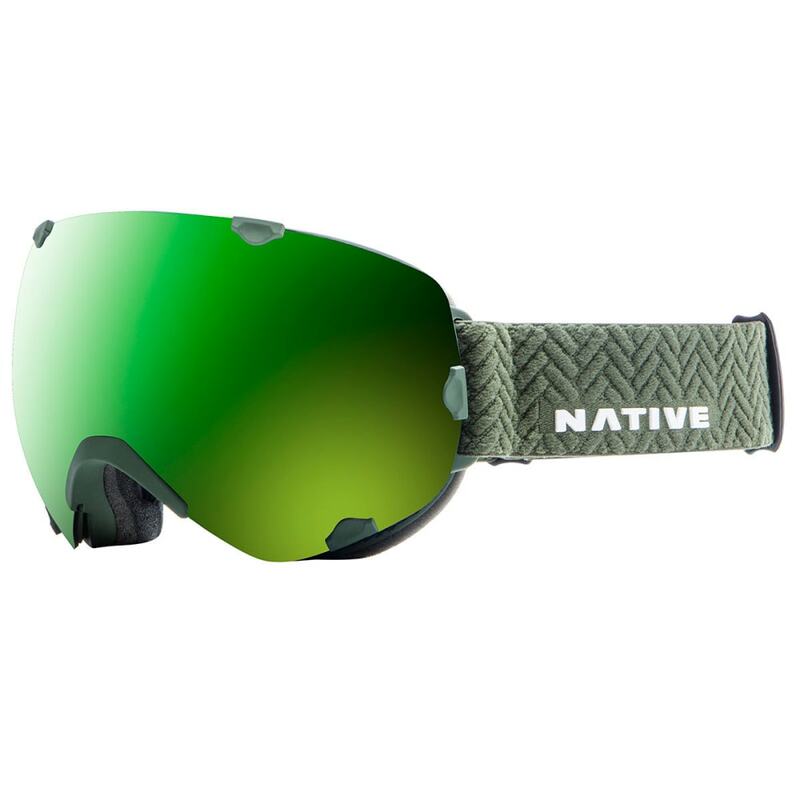 Easily pull apart from each of the six points around the edge of the frame to replace its spherical SnowTuned™ lens to suit changing weather conditions. 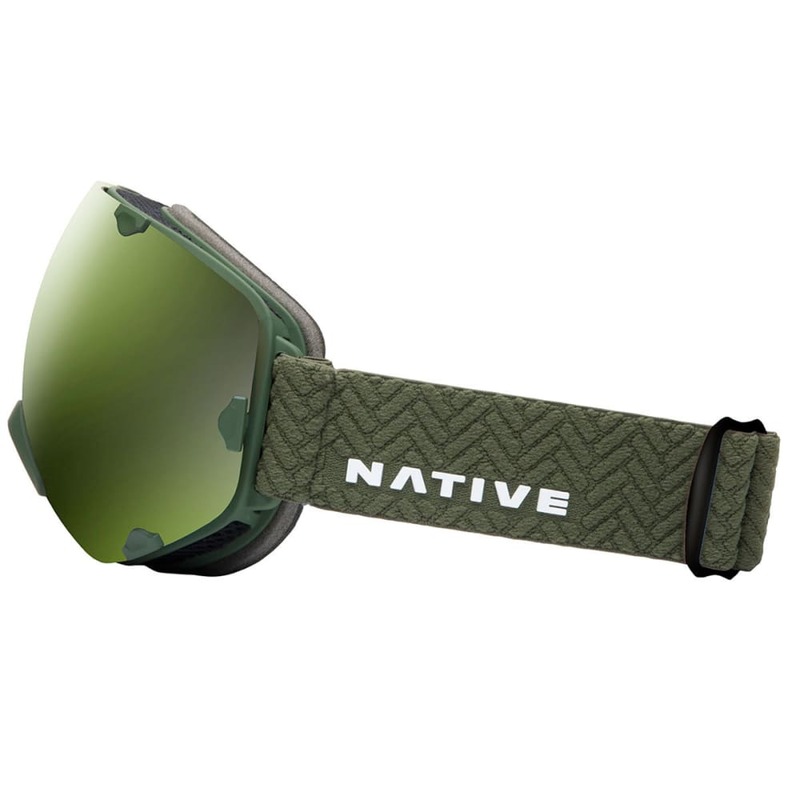 Each Native goggle also comes packed in their signature FORT™ rigid case and features premium hypoallergenic face foam, superior anti-fog coatings, and snow-specific color filtration to ensure all-day comfort and high definition vision.